That course must have gone well, because the Foo Fighters frontman has launched his own barbecue-focused project called, appropriately, Back Beat BBQ. He “debuted” his signature creations this past weekend by serving the California firefighters battling the ongoing Woolsey Fire. 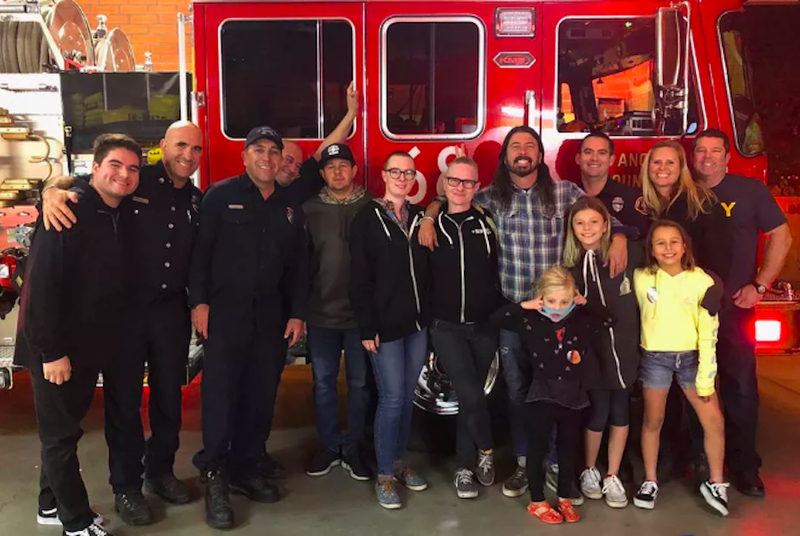 One firehouse in Calabasas took to Instagram to share a photo of Grohl with the firefighters and their families. Grohl has a long history of being awesome, whether he’s stumping for progressive political candidates, hiring stuntmen to reenact his own trauma, or designing a throne while high. Becoming a pit master is yet another bold move from the one-time Nirvana drummer; Food & Wine reports that he learned his craft under the tutelege of Tennessee chef Billy Terrell, and that he hordes numerous smokers—including an impressive Big Green Egg—at his San Fernando Valley home.